ITS FL occasionally identifies a person in the transportation business who has greatly contributed to ITS during their career. Persons who have retired, or who are about to retire are considered candidates. Any member may nominate a candidate for the ITS Florida Honor Roll with a letter describing their accomplishments and contributions. ITS Florida and the ITS industry, as a whole, lost a champion and a dear friend in July of 2018. Chester Hartford Chandler III was as dedicated to ITS (and ITS Florida) as they come. Chester was a man of intellect and a true champion for Intelligent Transportation System (ITS). His unique ability to visualize ideas for the industry and ITS Florida as an organization were unparalleled. Chet had a 40-year distinguished career in civil and transportation engineering across both private and public sectors in several states, most recently with the Florida Department of Transportation – Tampa District (FDOT) since 2009. While involved in many ground-breaking technology efforts with FDOT, he established a state-wide Intelligence Transportation System (ITS) chapter, recognized as the premier state chapter in the country. In the early 90’s, Chet was instrumental bringing electronic toll collection to Florida and was renowned as “Mr. SunPass”. Chester’s contribution to the industry extends well beyond Florida but for the state specifically, he served FDOT at the Florida Turnpike, Central Office and District 7. He was passionate about ITS and actively involved in ITS Florida for many years. He served on the ITS Florida Board as the FDOT representative in 2000 – 2003 and returned to the Board of Directors as Vice President in 2004 and President in 2005. These contributions and the and the overall impact on the ITS industry will leave a lasting impression on individuals and ITS Florida. Chester will be honored in many capacities, not only this year, but for many, many years to come. He was the originator of the highly successful ITS Florida Calendar and led many other initiatives for the organization. Charlie was beloved by his employees, clients and peers. He was an Intelligent Transportation System (ITS) champion and a valuable, trusted resource in our industry. His vision to create effective and accountable Transportation Management Center (TMC) operations for the success of his clients was unmatched. He created accountable performance measures of which TMC operations would be measured and improved upon. With the start of express lanes in South Florida, Charlie took on the responsibilities of creating clear goals and objectives for the operation and management of the express lanes program in Florida. Charlie created his company, Concepts to Success (C2S) Engineering, with very clear goals in mind. He wanted to create a small firm of experts and provide services in the operation and advancement of ITS and Advanced Traffic Management Systems (ATMS) in the state of Florida. 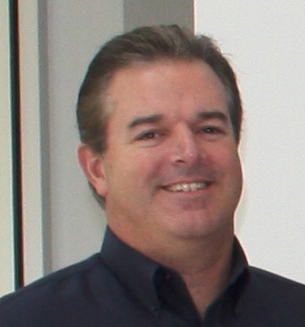 Chris started his career with the Florida Department of Transportation (FDOT) in October 1980. He is retiring as the ITS Program Manager in Traffic Operations after thirty-five (35) years of service with the Department, eight of which he was spent in ITS. Mr. Birosak managed the Intelligent Transportation Systems (ITS) Section of the District One Traffic Operations Office, located in Bartow, FL. ITS was very specialized and required a vast technical knowledge in addition to traditional transportation practices. It was difficult to find well-qualified employees in this area. Mr. Birosak was a great success in developing his staff to achieve the level of technical knowledge necessary to achieve the goals of ITS in his District. Mr. Birosak has a strong passion for instilling a focus on customer service with his staff, as well as emphasizing the importance of planning for the future both as individual growth goals and as a program. Mr. Birosak has garnered the much-deserved respect of his peers and acknowledges the respect is due to the hard work of his team members. He is well respected in the ITS industry for his knowledge and accomplishments. His retirement is going to be a great loss for the Department. Mark started his career with the Florida Department of Transportation (FDOT) in January 1979. He was the Senior ITS Project Manager in Traffic Operations. Mr. Roberts retired after thirty-six (36) years with FDOT. Mr. Roberts was instrumental in the success of Intelligent Transportation System (ITS) Program and transportation in District One for his entire career. Mark was with the ITS program since its inception in the State of Florida, which started with Signal System projects. Because of his diligent efforts through the years, the ITS program grew from Traffic Signal System implementations to complex Advanced Traffic Management Systems and Freeway Management Systems. He played a key role in the formation of the Traffic Incident Management teams (consisting of local agencies, law enforcement, and fire rescue) in District One. 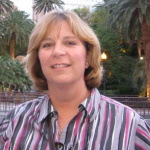 Erika dedicated her sixteen-year professional career to the Intelligent Transportation Systems (ITS) industry and developed strategic partnerships and friendships at every stop of her professional journey. Erika was a leader, advocate, and friend of ITS Florida for many years. She served on the ITS Florida Board of Directors from 2003 to 2006, and again from 2010 to 2013. She served as Secretary and Treasurer for the organization. Erika served as Chair of the organization’s Outreach Committee and was responsible for providing an article to the FDOT’s monthly ITS publication, for ITS Florida’s website, and for managing the annual awards and scholarships programs. But nothing was more important to Erika than the annual ITS Florida calendar. Through much hard work and persuasion each year, Erika procured the necessary photographs and sponsors to produce a calendar that was a large part of why ITS Florida is named an Outstanding Chapter by ITS America each year. Erika was a member of the team that planned the 2014 ITS 3C Summit, and a huge advocate for the partnership of the chapters and the success of the event. Erika’s dedication and commitment to this volunteer organization was matched by few. Erika’s dedication to the ITS Industry and her ability to touch people will leave a lasting impression. 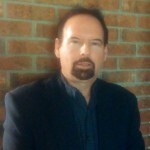 Ben, a Florida native, joined the Florida Department of Transportation (FDOT) in 1974, where he held increasingly responsible positions in maintenance, design, and production management. In 1984, he became a deputy engineer in District Five, and in 1987 he became District Five Secretary. In early 1989, he was named Assistant Secretary of Operations of DOT’s seven districts and Florida’s Turnpike and later that year was appointed Secretary of Transportation by Governor Bob Martinez. Mr. Watts helped restore confidence and trust in FDOT, which had experienced significant financial and Work Program management difficulties prior to his appointment. Based on the exceptional professionalism he instilled in the agency, he was retained as Secretary of DOT in 1991 by Governor Lawton Chiles and served as Secretary until 1997, which we believe is one of, if not, the longest tenures for a State DOT Secretary in the nation’s history. While serving as Secretary, Ben Watts created and fostered a culture of multi-modalism at the Florida DOT, an initiative Mr. Watts carried from District Five. Mr. Watt’s leadership helped bring intelligent transportation systems into the mainstream of Florida transportation. As Secretary of Transportation, Mr. Watts later served as President and CEO of Carter and Burgess, before retiring in 2008. He was inducted into the Florida Public Transportation Association Hall of Fame in 2012 for his role in promoting multi-modalism. Mr. Watts later served as President and CEO of Carter and Burgess, before retiring in 2008. He was inducted into the Florida Public Transportation Association Hall of Fame in 2012 for his role in promoting multi-modalism. Frank, a native of Florida, was a Civil Engineering graduate of the University of Florida. Mr. Carlile served in various capacities over 26 years with the Florida Department of Transportation (FDOT). He was appointed Assistant Secretary for Transportation Policy in 1990, serving Secretary Ben Watts. As the “second in command” of FDOT, Mr. Carlile managed the implementation of the multimodal and ITS-related initiatives approved by Mr. Watts. When Mr. Carlile retired from FDOT, he followed his long-time friend and colleague to Carter and Burgess as Eastern Sector Manager, then to Jacobs Engineering as Senior Vice President, from which he is retired. It is for Frank Carlile’s long-time commitment and support of excellence, and in particular ITS as a significant element of Florida’s transportation system, that we welcome former Florida Department of Transportation Assistant Secretary Frank Carlile to the ITS Florida Honor Roll. Dr. Wallace is one of Florida’s best-known Transportation professionals, having made immeasurable contributions to our industry. For this reason, Charlie was the inductee to ITS Florida’s ITS Honor Roll for 2012 on the ITS Florida 20th Anniversary. Throughout Charlie’s career, he has advanced the transportation profession. He led the University of Florida Transportation Research Center as Director and founded the McTrans Center. In addition to this role, Charlie consulted nationally and internationally on work ranging from research to signal optimization, simulation modeling, and training. Charlie’s career includes work on numerous high-profile projects, including the National ITS Architecture, Sunguide Software, I95 Corridor Coalition, Georgia DOT Navigator, and NCHRP Research. Charlie has tirelessly contributed to the ITS profession through its organization’s committees, work groups, and task forces. These include the Transportation Research Board (TRB), the Institute of Transportation Engineers (ITE), the American Road and Transportation Builders Association, the International Road Federation (IRF), the Institute of Electrical and Electronics Engineers (IEEE), and ITS America as a Board Director. However, what we remember most is Charlie’s work to form the Florida Chapter of ITS America in 1992 and his continuous leadership to make the organization the award-winning state chapter we know today. L. A. was inducted into the ITS Florida Honor Roll, June 2012. L. A. has an extensive transportation background with his 35 years with the Florida Department of Transportation followed by his 18 years with the Orlando-Orange County Expressway Authority. L. A. was the Director of Expressway Operations and he oversaw the design, deployment and operation of the Authority’s Expressway Management System since it was conceived in the late 1990s. L. A. served on the ITS Florida Board of Directors through the officer positions and was the ITS Florida President in 2009. L. A. Griffin is a well-respected leader in his field, has made numerous presentations on the Authority’s Expressway Management System at national and international conferences, such as ITS World Congress and annual meetings of IBTTA. FDOT Office of Traffic Operations, for managing the ITS Telecommunications Program and making substantial improvements to ITS communications, including leading the recent highly successful pilot study that enabled Traffic Incident Management personnel, particularly Road Rangers, to be able to use the Florida Highway Patrol 800 MHz radio system statewide. Bob receives ITS Florida 2005 Honor Roll plaque from Charles Wallace – Robert (Bob) J. Krzeminski, FDOT Planning Office, for long support of ITS, including co-program manager of the initial Statewide ITS Strategic Plan and a lead manager in ITS Performance Measures studies. University of Florida (retired) – Ken is a long-time supporter of ITS and is an innovator in ITS data collection and evaluation, signal control and various other aspects of ITS technology. Retired from the Florida Department of Transportation and Morales and Schumer, Inc. Edward had a long and distinguished career throughout which he was a strong supporter of innovative transportation. He was the first person appointed as “Secretary of Transportation” and served from 1970-1972. He also served as Executive Director of Jacksonville Transportation Authority (JTA). Executive Director, ITS Florida Retired – Diana has managed the affairs of ITS Florida since 2004. She assumed the Executive Director position after retiring from HART in Tampa. She previously served as a Director at Large officer with ITS Florida. With Diana, ITS Florida has increased its membership and improved its visibility. The Chapter is the envy of other state chapters of ITS America and of the national organization. Florida Department of Transportation Retired – In September 2008, ITS Florida presented this honor to Lap Hoang as he retired from the Florida Department of Transportation. He served as the FDOT representative on the ITS Florida Board for 6 years and has continued to provide the ITS community with guidance and support. His quest in pursuing excellence and his dedication and passion for operations provides a model for all of us. Florida Department of Transportation Retired – In February 2009. ITS Florida presented this honor to Mike Akridge on June 23, 2009 with our appreciation for his service. ITS Florida recognizes Mike for the passion and leadership he demonstrated in deployment of ITS technology and project initiatives throughout his career with FDOT from1992 to 2009. Mike also was instrumental in the ITS Florida Road Ranger education initiative. Florida Department of Transportation Retired – In December 2009. ITS Florida presented this honor to Bill Wilshire on December 8, 2009 with our appreciation for hisdedication and perseverance in making Florida’s transportation system one of the finest in the nation. Mr. Wilshire is well known in the Florida ITS community and is an ITS Advocate and Champion. He has served as the District 7 ITS Program Manager since 2002. During his tenure, Bill oversaw the development and deployment of the Tampa Bay Freeway Management System, the Tampa Bay SunGuide® Center and the 511 regional system in the Tampa Bay area.